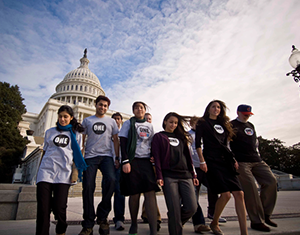 ONE’s nationwide network of grassroots volunteers executes campaigns to end extreme poverty and preventable disease. If you’re passionate about ending poverty, we want you to join us. Click on your state to find your ONE organizer. Shawn’s passion for fighting poverty started when he studied in Egypt and witnessed the plight of Iraqi and Sudanese refugees. His organizing experience includes electoral campaign management and campaigning to preserve Social Security and Medicare. A native cheesehead, he lives in Neenah, WI. Starting as a volunteer, Mike joined the ONE staff in 2012, and moved into the role of RFD in 2013. Before joining ONE, he worked as a touring and recording musician and as a freelance writer. He lives in Austin, TX. Brian was a Congressional District Leader before joining the ONE staff as an organizer for ONE Vote ‘08, and has been an RFD since 2009. He lives in Lebanon, PA.
Scoggins started at ONE as a Congressional District Leader. Before ONE, he did political organizing, economic development and ecumenical projects in Bosnia and Herzegovina, and worked with at-risk youth in Cincinnati. His name translates to “the bearded mountain one.” He lives in Savannah, GA. There are many ways to contribute to ONE’s mission of ending global poverty. Fill out the form below and your volunteer coordinator will be in touch. What skills will you bring to the team? What else should we know? How did you hear about ONE? Why do you want to volunteer? You have successfully signed up to volunteer with ONE. Your Regional Field Director will reach out to you shortly. Our grassroots volunteers make sure their voices are heard by their elected officials. 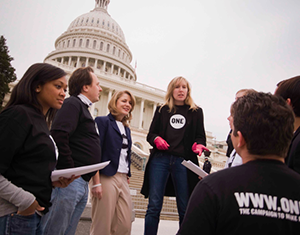 We know the most impactful ways to convince elected officials to take action against extreme poverty is by writing letters, making phone calls, and meeting with them in their offices. Have your elected officials heard your voice? Our volunteer teams build grassroots support by hosting meet-ups, canvassing big events, talking to community groups, and recruiting neighbors to take action to end poverty. Will you commit to helping others use their voice? We continuously train and empower our grassroots activists with issue and skill-based training that prepares them to influence decision makers. We give you the resources to translate your passion into action. Are you ready to lead a team of like-minded poverty fighters? What if Dr. King walked away from the podium halfway through “I Have a Dream”? What if Malala decided not to go back to school? What if Nelson Mandela said “I’m done” when he was released from prison? 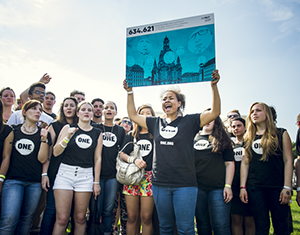 We’re halfway to ending extreme poverty, but we need your help – your voice – if we’re going to finish the job. 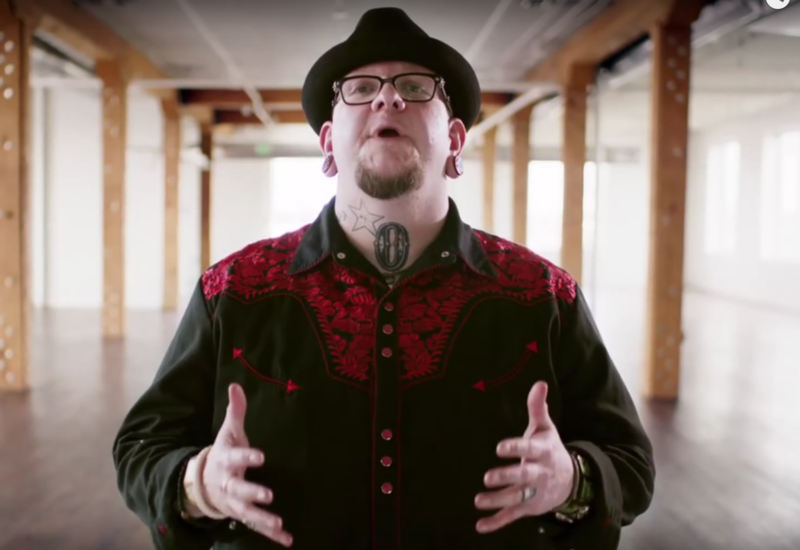 Watch our video featuring real ONE volunteers.